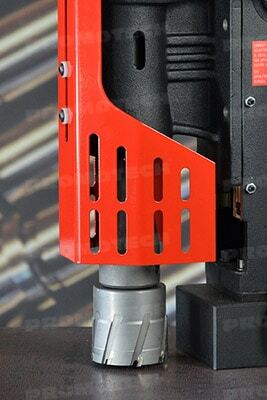 Unique semi-automatic gib backlash adjustment (Promotech’s patent pending) enables simple, fast and correct adjustments without any expert knowledge or experience. 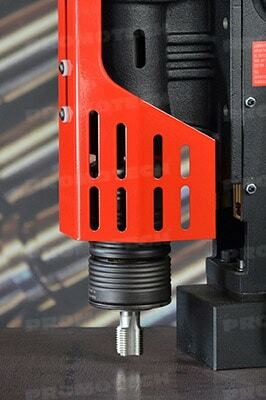 Replaceable spline at the end of armature shaft eliminates laborious and expensive armature maintenance. 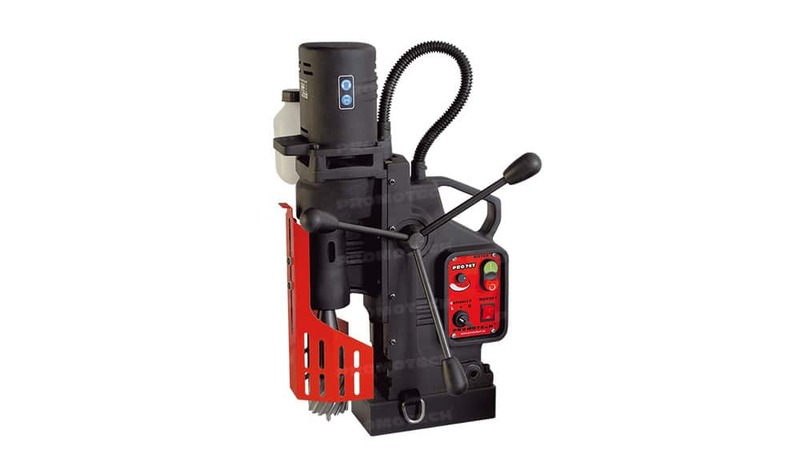 Compact design allows to drill very close to vertical surface. 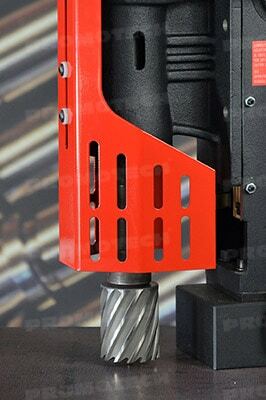 PRO 76T is equipped with electromagnetic base featuring magnetic field shape control system (MFSC) and magnetic power adhesion control module (MPAC), which detects adhesive force of electromagnetic base and protects both the machine and the operator from work on too thin workpieces. Standard shipping set of PRO 76T includes MT3 Arbor with 3/4” (19 mm) Weldon Bore that accepts cutters up to 60 mm (2-5/16”) diameter. 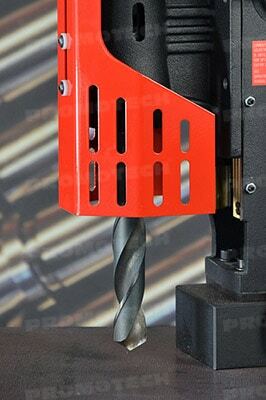 Optional MT3 Arbor with 1-1/4” (32 mm) Weldon Bore for cutters of larger diameters is available. 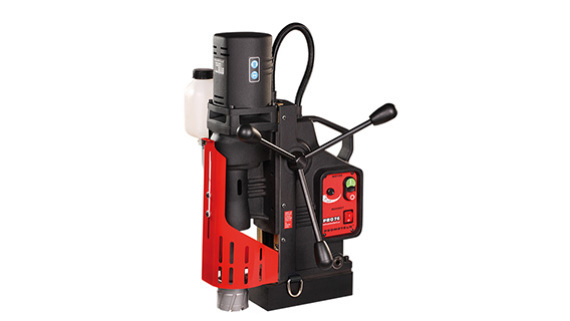 Make sure you are familiar with Promotech PRO-76T | Multifunctional Mag Drill brochure including technical data and detailed information about this product. Should you have any further questions we encourage you to send us an enquiry.